I get that question a lot, “what is a keto diet?” A keto diet is well known for being a low carb diet, where the body produces ketones in the liver to be used as energy. It’s referred to as many different names – ketogenic diet, low carb diet, low carb high fat (LCHF), etc. There’s a reason behind the title, “Keto Diet”. The “keto” in a ketogenic diet comes from the fact that it makes the body produce small fuel molecules called “ketones”. This is an alternative fuel for the body, used when blood sugar (glucose) is in short supply. Ketones are produced if you eat very few carbs (that are quickly broken down into blood sugar) and only moderate amounts of protein (excess protein can also be converted to blood sugar). Ketones are produced in the liver, from fat. They are then used as fuel throughout the body, including the brain. The brain is a hungry organ that consumes lots of energy every day and it can’t run on fat directly. It can only run on glucose… or ketones. During a Keto Diet, we experience ketosis. 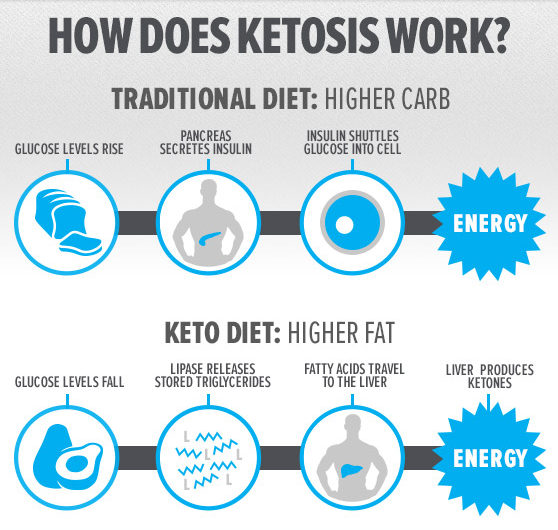 Ketosis is a natural process the body initiates to help us survive when food intake is low. During this state, we produce ketones, which are produced from the breakdown of fats in the liver. Are there benefits to a Keto Diet? 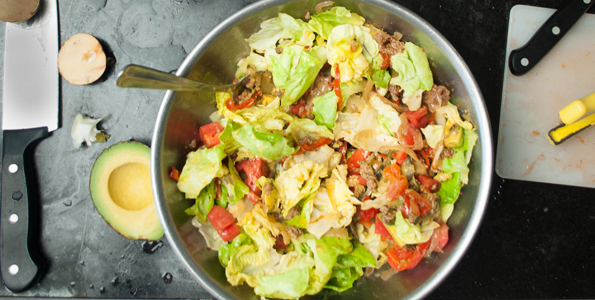 The benefits that come from a ketogenic diet are similar to those of any strict low-carb diet. However, the effect might be even greater since protein is more restricted. This raises ketones more, and lowers insulin (the fat-storing hormone) more. Refined fats and oils, trans fats such as margarine.